The port, which is being developed with funding from India, has been described as India's' 'golden gateway' to Afghanistan, bypassing Pakistan. 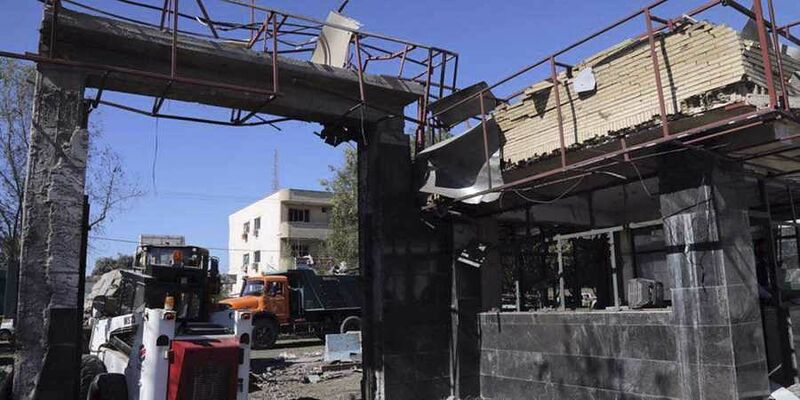 India on Thursday strongly condemned the suicide bomb attack on a police station in Iran's southeastern port city of Chabahar, in which four people, including the terrorist, were killed and more than 40 injured. The port, which is being developed with funding from India, has been described as India's "golden gateway" to Afghanistan, bypassing Pakistan. Reports said the suicide bomber driving in a Nissan pickup was planning to attack the Chabahar police headquarters, but detonated the explosives packed in the vehicle when he was stopped by police officers at the front gate. "India strongly condemns today's despicable terrorist attack in Chabahar, Iran. We express our condolences to the government and the people of Iran and the families of the victims of this attack. We wish speedy recovery to those injured. The perpetrators behind this dastardly attack should be brought to justice expeditiously. There can be no justification for any act of terror," the Indian ministry of external affairs said in a statement. The Ansar Al Furqan, a Sunni Baloch militant organization designated as a terrorist organization by Iran, reportedly claimed responsibility for the attack. The southeastern port city in Iran's Sistan and Baluchistan province is located near the border with Pakistan. "While this rare suicide bombing in Iran does not appear to be targeted at Indian interests in the port, the fact remains that Ansar Al Furqan is known to have links with the Jaish-e-Mohammed, a Pakistani terrorist outfit which targets India," an Indian official pointed out.